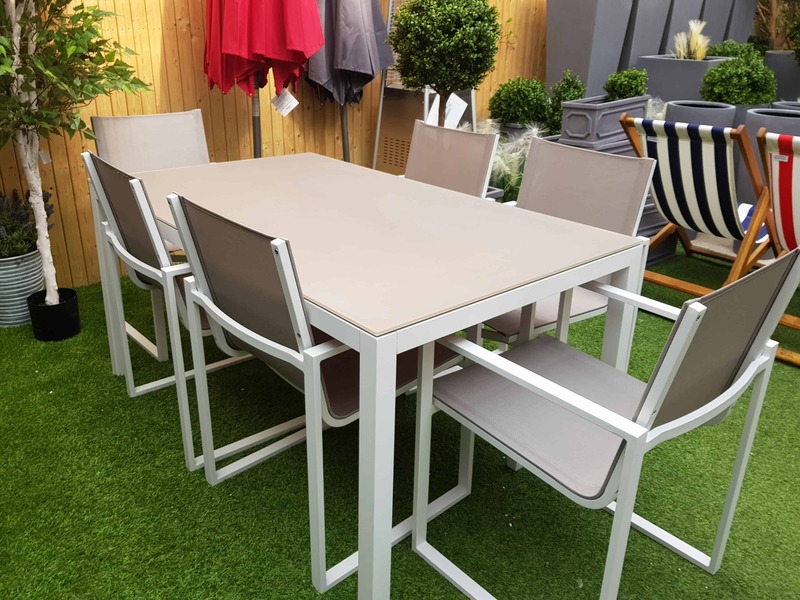 The Lisbon Dining set provides a sturdy rectangular outdoor dining solution ideal for get-togethers, parties and barbecues. 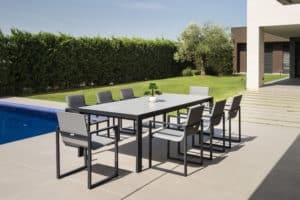 The Lisbon rectangular table and Belluno chairs are built with high-quality aluminium which is powder-coated for resilience and is made to last. 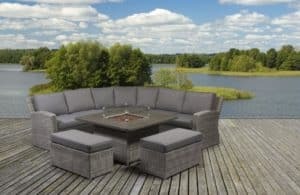 Capable of handling the outdoors, while also designed to look elegant and appealing. 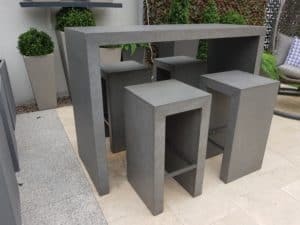 The charcoal finish adds a contemporary style and suits almost any outdoor garden or barbecue space. 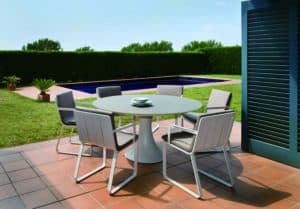 When style and elegance coupled with durability meets the modern garden design, go no further. 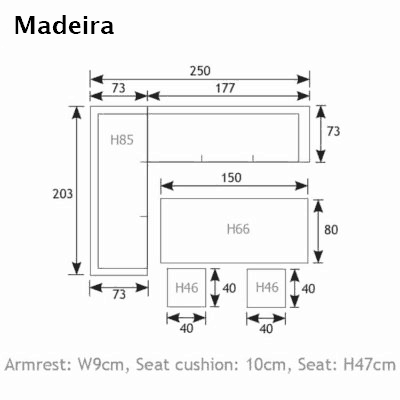 The Lisbon 8 seat dining arrangement has it all. 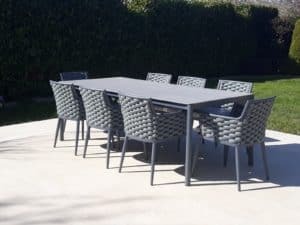 This exciting new range of elegantly designed garden furniture has already triggering a huge fuss with designers and consumers alike. 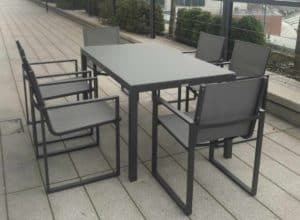 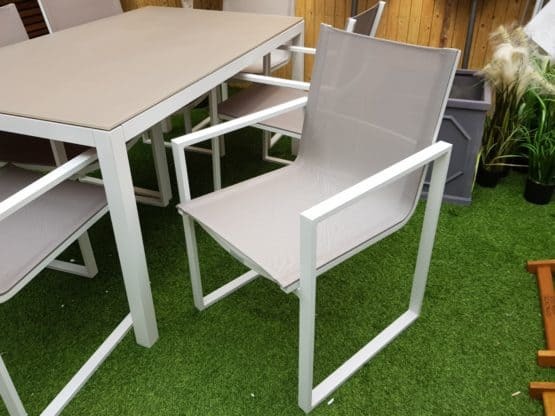 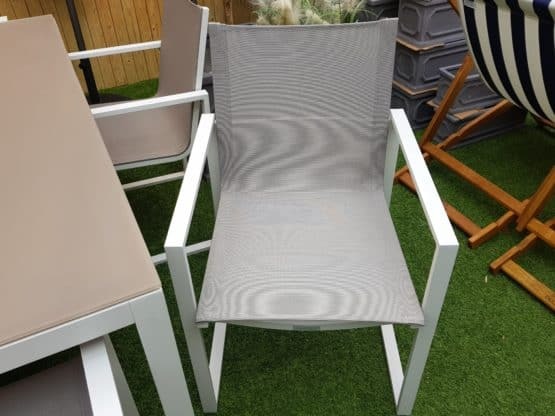 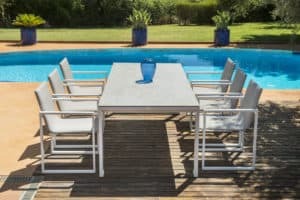 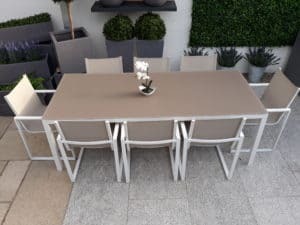 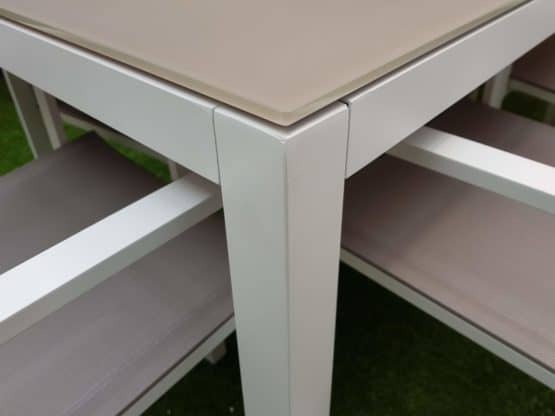 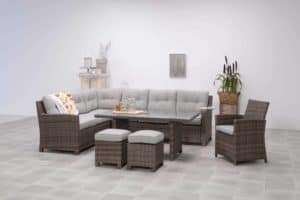 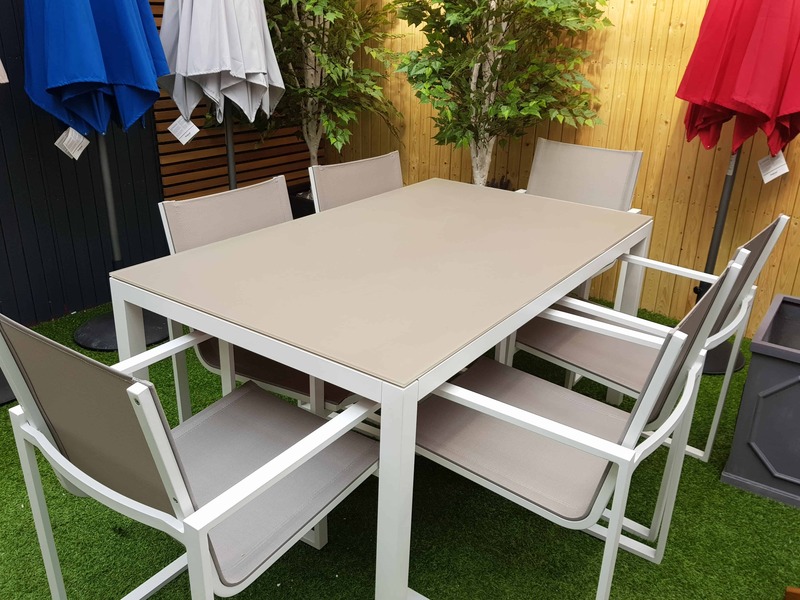 The Lisbon 220cm aluminium rectangular framed table with durable 8mm cappuccino colour glass top, together with 8No the Belluno (Non Stacking) arm chairs is made of aluminium and powder coated White for easy fusion with other garden materials. The chair is upholstered with with a Khaki coloured Texteline fabric for all year round use. 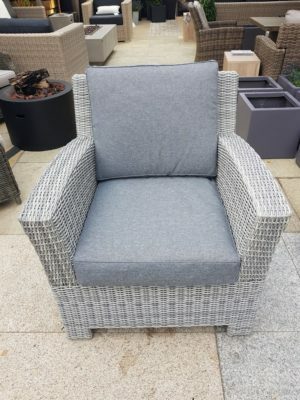 Its unique shape offers comfort and distinction unrivaled in style and design. 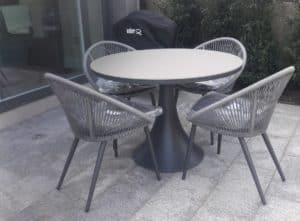 The Fano Dining set provides a sturdy circular outdoor dining table and very comfortable arm chairs, ideal for outdoor meals, get-togethers, parties and barbecues. It suits almost any outdoor garden or barbecue space. 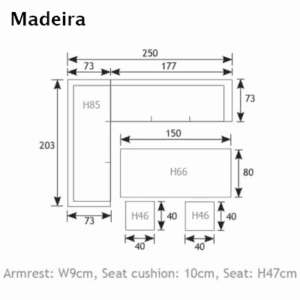 Two colour versions available.